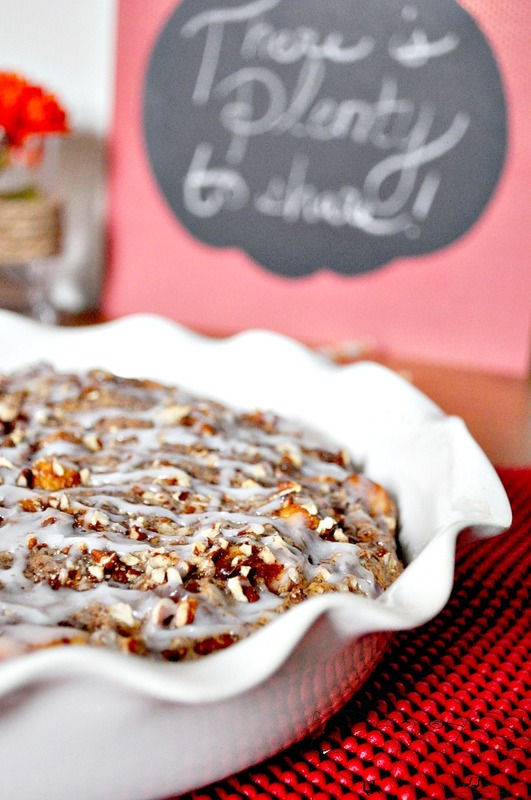 A Sunday Morning Date with this Delicious Fall Breakfast – Pumpkin Cinnamon Roll Casserole Recipe! I have been told by numerous people that every night is date night if you don’t have kids. That life before kids is basically made of endless free time, giggles, and sunshine. Maybe it was or IS for one of you, but certainly not us. I know that many things will get harder when we have kids. I am not trying to undermine that for those of you that are parents. When my sister recently sat at the ER at midnight with my niece while also needing to be at work in 4 hours, I thought – I’m okay with “one day” not being today. Parenting is hard. I am just saying that time before kids is not an endless date. No matter how hard someone tries to convince me, I will not consider a night with me working on my computer and my husband sick on the couch watching Californication a DATE. Relaxed? Sure, for the most part. Quite? Definitely. Date night? No where close to my definition. We are busy people. I never want to add up the hours in a week we actually work, especially since both of us work many non-traditional hours. I chose to start my business before kids because I knew how much work it would take. My husband chose to work in residence life before kids because he knew that heading out at 11pm, 1 am and 5am for a student call would make it even harder for him to help with late night feedings.We have to specifically carve out time for our marriage and for real dates, like Sunday brunch. Almost every Sunday, we take the morning to hang out and relax together. No computers. No cell phones. This is also when we usually have our weekly check-in meeting: things that need to get done, appointments for the week, meals, budgets, etc. Sometimes brunch is coffee and crescent rolls. Sometimes it’s pancakes while we catch up on some TV. Whatever we feel like, it is time we reserve on the weekend for just the two of us. 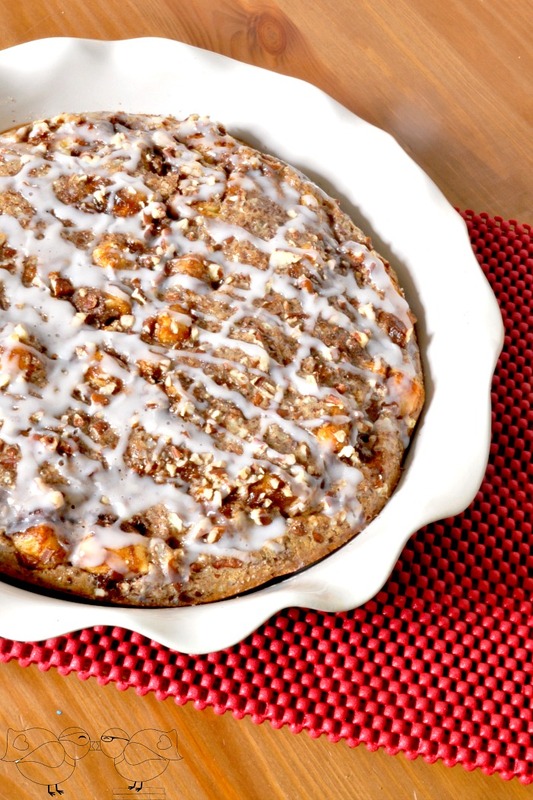 This past Sunday, I made this Pumpkin Cinnamon Roll Casserole I am sharing with all of you today. It was a complete experiment. I had seen many people post about using cans of cinnamon rolls to make a casserole, but I wanted something special if I was going to take the extra time to whip it up in the morning. Then, I remembered I had pumpkin butter in the fridge! LIGHT BULB MOMENT! By tossing the cinnamon roll pieces in the pumpkin butter and adding a few of my favorite spices, this became the perfect fall brunch idea! Even better, it was a nice, cool morning Sunday so this Pumpkin Cinnamon Roll Casserole and coffee together felt like absolute perfection. While eating it, I also had another light bulb moment – APPLE! I have homemade apple butter in the fridge, so that part will be easy. I also think it would be great with chunks of apple, so maybe I will use an apple pie filling. I see a new recipe for you all soon! Toss the rolls into the pumpkin butter and then place into your dish. I added about ⅓ of the rolls at a time to the pumpkin butter. NOTE: If your pumpkin butter is very thick and hard to work with, try heating it up just slightly. Warm up your icing slightly and drizzle onto the top. NOTE: I put all of these in an 9″ pie pan. You could also use an 8×8 square pan. This recipe made enough for 2 people with a little leftovers and can easily be doubled for a 9×13 pan. Whether you have kids or not, what are some ways you take time for your relationship? No action is too small, so let’s share some idea! These look amazingly delicious, and I love the simple ingredients! 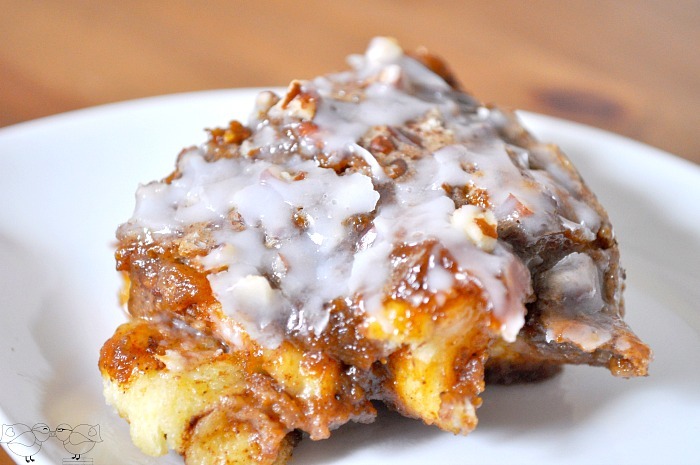 These cinnamon rolls sound DIVINE. Seriously. Favorite brunch food ever, and then you had to go add pumpkin and sent ’em over the top… This was one of my favorite links shared during last week’s #thatsfreshfriday link-up! I’ll be sharing it on my blog tonight, as well as on my social media throughout the weekend. I hope we see you at the new party later today. Keep up the great work! I can totally relate to everything you just said, I seriously feel like we’re on the same wavelength most of the time. The recipe looks amazing and will definitely be a great one for family get togethers this fall! That looks so perfect and tasty. I will most likely be baking this during the fall months. Did it smell as good as your great pictures looked? This looks like a great recipe to keep! Thanks for sharing! Oh my goodness yum! I love that it’s a casserole and it just looks so delicious with that drizzle. OKay wow! This looks absolutley amazing! I definitely need to make one of these! oh my goodness that looks amazing!!! That looks absolutely incredible! Beautiful! Yum! That looks so delicious. I never thought to make it in casserole form. I’m not sure I’ve ever seen anything this good before! 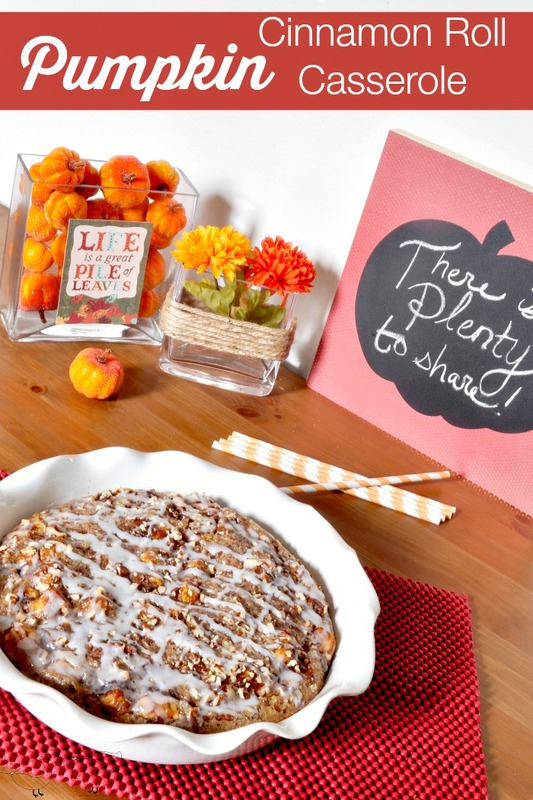 Pumpkin cinnamon roll?! Genius! This looks so amazing. I need to make a gf one of these YUM! I had to pin that! That looks so good! 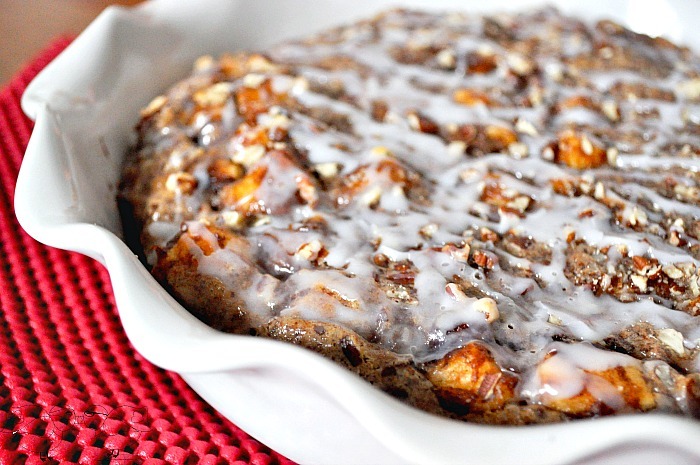 It reminds me of my husband’s Sweet Potato Casserole he makes for Thanksgiving! That looks so good! It’s the perfect fall dessert. This looks so yummy! I like to make a special breakfast on Sundays, and I think this would be a perfect addition! Thanks! I am drooling over here. I could literally eat that entire thing by myself.